Evie joined the practice shortly after completing her RIBA Part I (BArch) degree at The University of Lincoln in 2016. She has a specific interest in the built environment regarding architecture as a multi-disciplinary topic which can encompass health and wellbeing and the effect an environment can have on how people use a space. Her interest in architecture from a young age has encouraged her to follow her ambition in becoming an Architect in the near future. 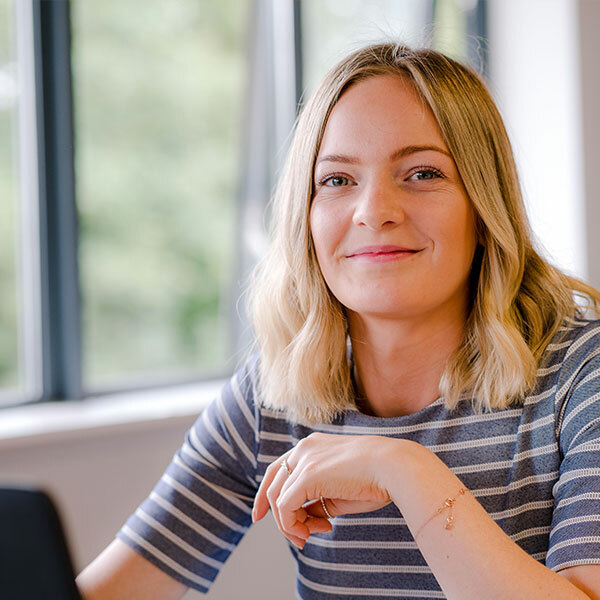 Since joining us, Evie has already worked on a wide range of projects including commercial refurbishment, residential developments and renovating Churches where she is broadening her knowledge and skills. She thoroughly enjoys being part of the team and working within a professional environment to gain firsthand experience.While undertaking her postgraduate degree, Evie has been a student representative of the Master of Architecture course and has been instrumental in its development, allowing students to have a say in how the course should be improved. Alongside architecture Evie is a keen active individual who partakes in fitness classes and swimming and enjoys visiting the Lake District to capture the beautiful untouched landscapes. She also enjoys interior design, assisting with family renovations including kitchen and bathroom designs. At present Evie has returned to The University of Lincoln to complete her second year of her Masters Degree and will return to the practice after obtaining her RIBA Part II qualification.